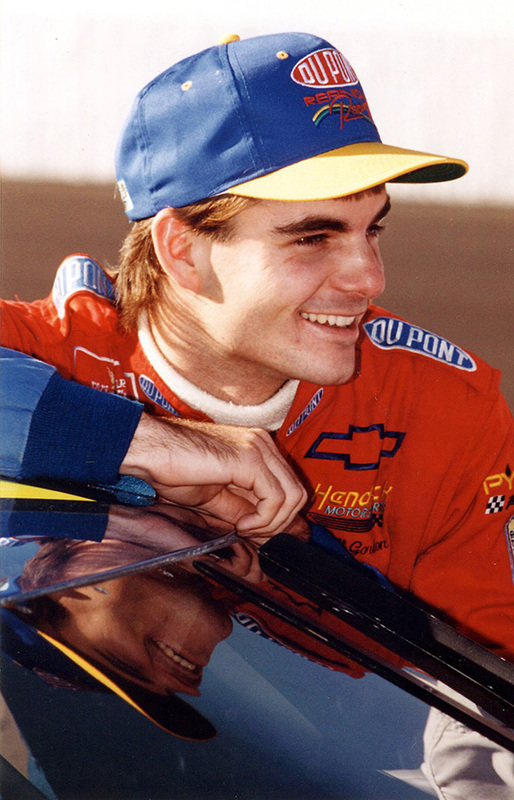 Jeff Gordon Blessed with once-in-a-generation talent and charisma, Jeff Gordon helped take NASCAR from a regional sport to the mainstream. Gordon took NASCAR by storm in the 1990s, becoming the youngest driver in the modern era to win a premier series title as a 24-year-old in 1995. He went on to win three more championships (1997, ’98, 2001). In 1998, Gordon led the Rainbow Warriors – named for his colorful No. 24 Chevrolet – to a modern era-record 13 wins. Overall, he won 93 races, which ranks third on the all-time wins list. Gordon is a three-time Daytona 500 champion and won the Brickyard 400 a record five times.